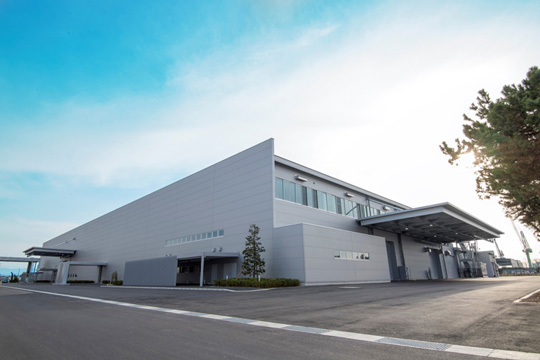 TOKYO, February 20, 2018 – Mitsubishi Electric Corporation (TOKYO: 6503) announced today that it has completed construction of an integrated-automation factory for the production of vacuum interrupters and circuit breakers at its Power Distribution Systems Center in Marugame, Japan. The new factory will deploy Mitsubishi Electric’s e-F@ctory concept of integrated automation based on IoT technologies to achieve high efficiency, high productivity and minimized cost. Combined sales of vacuum interrupters and vacuum circuit breakers are expected to rise to 12 billion yen by 2025. The company’s e-F@ctory concept makes use of cutting-edge technologies to visualize information and integrate with high-level manufacturing-execution systems for advanced production. The new factory leverages this knowhow to unify production information, from orders to assembly to shipments, for enhanced productivity and product quality. The e-F@ctory concept will also be used to improve cycle speeds and shorten lead times. The integrated-automation production line’s uptime will be maximized through the partial introduction of automatic assembly and testing devices for vacuum interrupters and vacuum circuit breakers, which previously had been decentralized within the Power Distribution Systems Center. The factory is the first to deploy Mitsubishi Electric’s D-SMiree System* for medium- and low-voltage direct-current distribution systems of voltages up to 1,500V DC. In addition, the new factory will deploy advanced energy-saving equipment and energy-loss visualization technologies to minimize its environmental footprint and energy consumption.